Emotion has been at the core of the social media experience since the beginning. From the like to the favourite to the heart, interacting with content on social media has generally always been about positive response. In fact, the assumption of approval or support is so strong that the phrase “retweets are not endorsements” has become standard in the bios of many on Twitter. 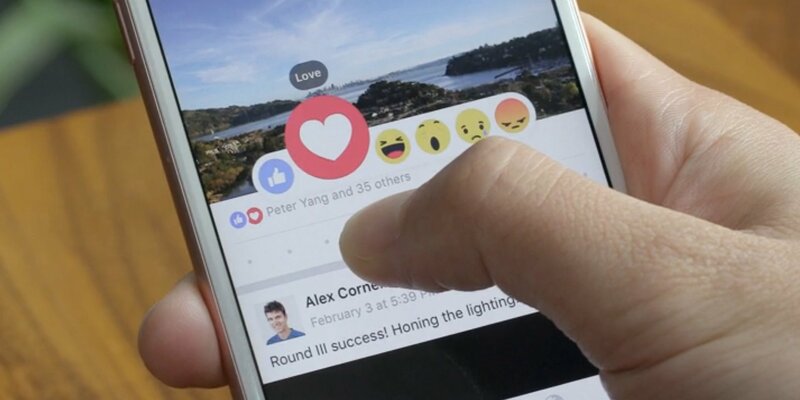 So while the launch of Facebook’s new Reactions feature might seem relatively small, it represents a major paradigm shift in social media—and a significant opportunity for brands and communicators. Reactions broaden the interaction opportunities on Facebook from a simple like to a range of emotions—like, love, wow, sad and angry. How many times have you come across something on your social feeds that begged for a show of solidarity but like didn’t feel quite right? Now Facebook has that covered. It’s timely that Facebook would broaden out its range of emotional responses only weeks after Twitter made its own even more specific. When Twitter moved from the favourite (or star) to the like (or heart) many users complained that what was once a generic catch all response now had a much more emotional meaning. These moves demonstrate just how much our social media feeds tie directly into our emotional states. Now when reaching for the like button on Twitter I have to think about the value of a heart and what it means. A simple like on Facebook now makes me think more deeply about how I feel about the content. While this may seem like psychological nonsense, its gold for marketers and communicators. Make no mistake, while Facebook is always looking for ways to improve its customer experience, everything the company does traces back to advertisers. The ability to provide an additional layer of context is invaluable for advertisers, communicators and anyone who wants to dive deeper into how content drives engagement. Providing more options for interaction has the potential to increase engagement as users previously had to write a comment to express a viewpoint other than like, a barrier that likely discouraged many. Early reports indicate that Reactions are already a hit with users (although a little hard to find for some). We are on the cusp of a new wave of social media measurement—true sentiment analysis. In the early days, social media measurement was all about reach; how big your follower count was. Today smart communicators measure in engagement; how your content resonates with your audience. While resonance is effective, being able to judge sentiment (did someone interact because they liked it or hated it?) is the next level of insight we need to be more effective communicators. While there are tools currently available to judge sentiment on social media, they are often expensive to access and lack the sophistication to decipher true intent. This new feature from Facebook is more than just a few cute new emojis, it is the beginning of an era where social media interactions become more than just binary. Facebook is essentially a giant data analysis machine, and the more data points it can extract the better communicators can target our audience and hone our message. Click here to put the Thornley Fallis data analysis team to work for you.